John (Jack) Edmund Kollmann, 93, of Merced, CA died the morning of February 8, following a series of recent strokes. John was born to Edmund and Frances Kollmann on March 12, 1925 in Madera, CA. He lived in Minnesota for 10 years as a child and the family moved back to Madera in 1940. John graduated from Madera High School in 1943. He served in the Army from 1945-1947. He attended California Arts and Crafts in Oakland graduating with a Bachelor’s Degree in Fine Arts in 1951. He then began serving in the Air Force for 2 years. After the service, John received his teaching credential from Long Beach College in 1954. John enjoyed his career in education. He taught a total of 32 years mostly for Merced City Schools. The majority of that time John taught at Tenaya Middle School. 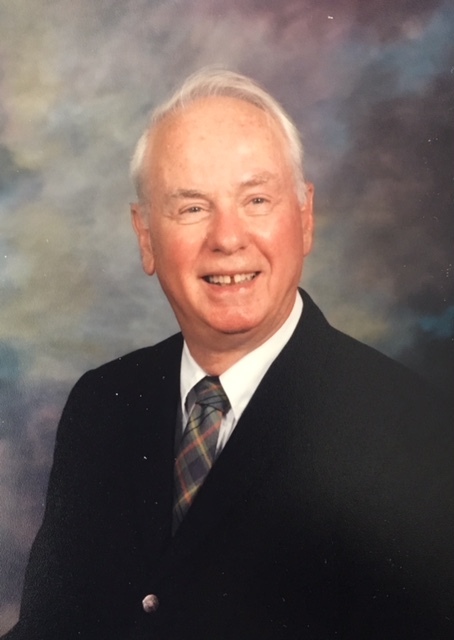 While living in Merced, John was involved in local arts organizations, CalRTA, and was a member of St. Patrick’s Church and the American Legion. In addition to his parents, John is preceded in death by his sisters Joan Kollmann and Jean Kazmierzcak. He is survived by his wife of 61 years, Alma Kollmann, and his children Jane (Ralph) Serpa, Kurt (MiChelle) Kollmann, John Michael Kollmann and Anna (Jim) Miller. John was grandpa to 13 grandchildren and 10 great-grandchildren. Also surviving John are sisters in law Lois Parker and Sarah Foster, brothers in law Robert Fitchett, Raymond Fitchett and Russ Kazmierzcak. Visitation will begin at 4 p.m. and conclude with a Rosary at 7 p.m. on Monday, February 18, at Ivers and Alcorn, 901 W. Main Street, Merced. A funeral mass will be celebrated at 10 a.m. on Tuesday, February 19 at Our Lady of Mercy Catholic Church, 459 W. 21st Street, Merced. Burial will take place at noon on Wednesday, February 20, at San Joaquin Valley National Cemetery, 32053 W. McCabe Road, Santa Nella. The family wishes to thank Amie Marchini Home Care and Hinds Hospice for the excellent care and attention given to John. Memorial donations may be made in John’s memory to Hinds Hospice (410 W. Main Street, Unit A, Merced, CA, 95340) and M/M CalRTA scholarships (c/o Terry Silva, 1405 Shady Cove Avenue, Atwater, CA 95301).